iPad toting travelers can now use their Apple SIM card in many more places internationally thanks to GigSky, which announced on Tuesday that it has struck a deal with Apple to provide high-speed wireless connectivity in more than 90 countries and territories across the world. Using the Apple SIM built in to the latest cellular-capable iPad models, customers can view and select a data plan right on the device while traveling. Previously, multi-carrier Apple SIM support was limited to just within the U.S. (on AT&T, Sprint and T-Mobile) and U.K. (on the EE Network). To coincide with the launch, Apple SIM cards will be available for individual purchase at Apple retail stores in 10 new countries over the coming weeks Australia, Canada, France, Germany, Italy, Netherlands, Spain, Sweden, Switzerland, and Turkey. Apple SIM cards are also already available to buy at stores in the U.S. and U.K.
GigSky data plans vary by country. For example, 20 megabytes of data for 3 days costs $10 USD in Russia and Brazil, while a 250-megabyte, 30-day plan is $50. Meanwhile, in India and Russia, $10 USD nets 40 megabytes over 3 days, and $50 buys 500 megabytes over 30 days. 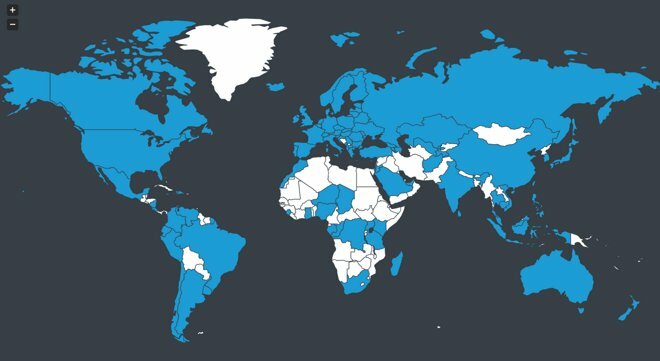 "We're elated to offer iPad users a new way to stay connected around the world," said Ravi Rishy-Maharaj, Founder and CEO of GigSky. "iPad Air 2 and iPad mini 3 are thin, light and great for travel. Paired with GigSky's affordable mobile data service —easily accessible right from iPad with Apple SIM —travelers have the freedom to email, map and tweet wherever they go, without the usual challenges of connecting." 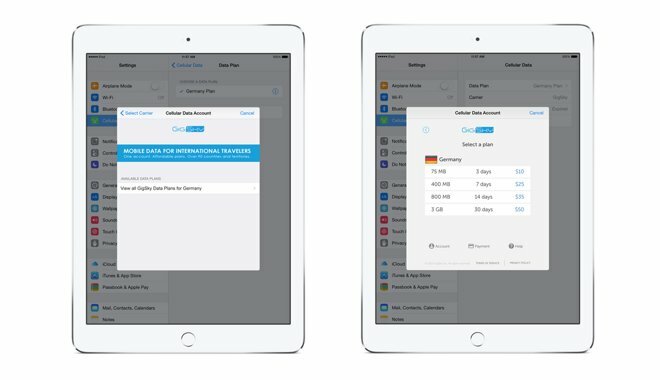 With an Apple SIM and an iPad Air 2 or iPad mini 3, users will be able to choose a GigSky plan upon arrival right from their device.